You and plush cushions are two peas in a pod. 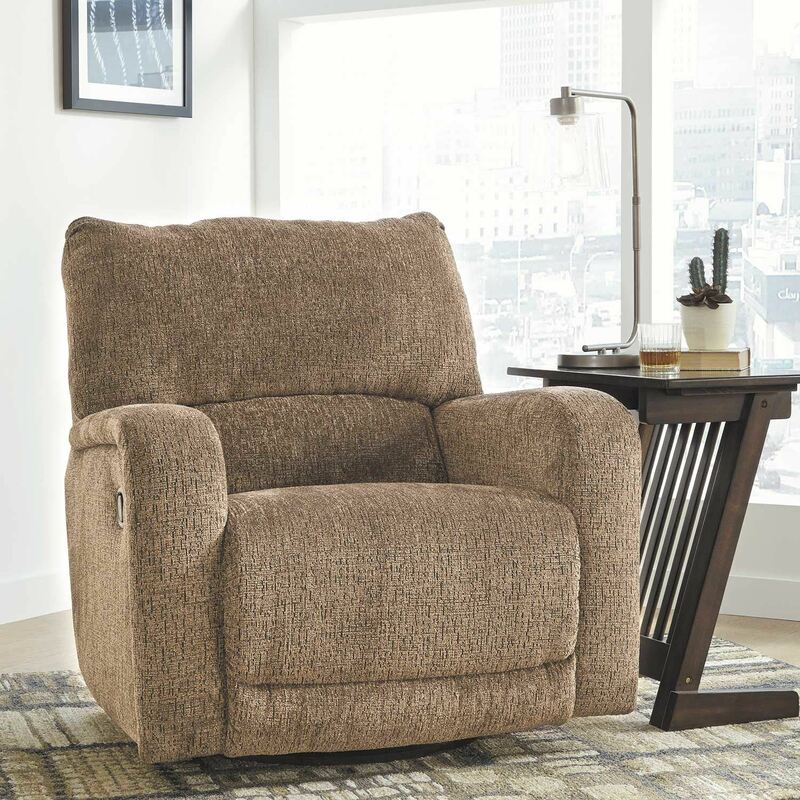 That’s why the Wittlich Umber Swivel Glider Recliner by Ashley Furniture will quickly find its way to your heart. 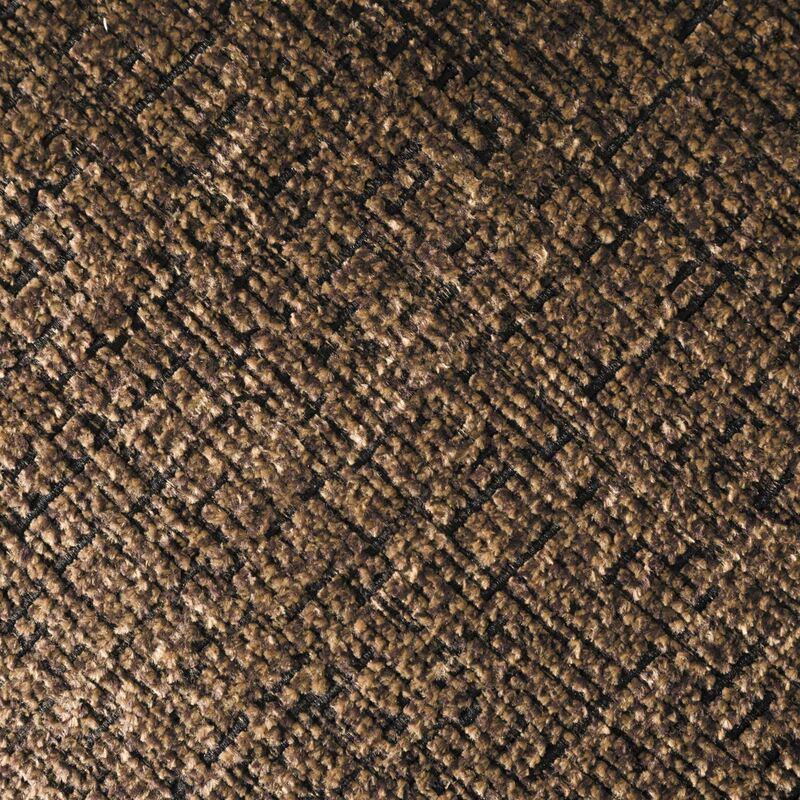 Chenille fabric feels so good, you’ll never want to take your hands off of it. Track arms elevate the look with a touch of contemporary sensibility. 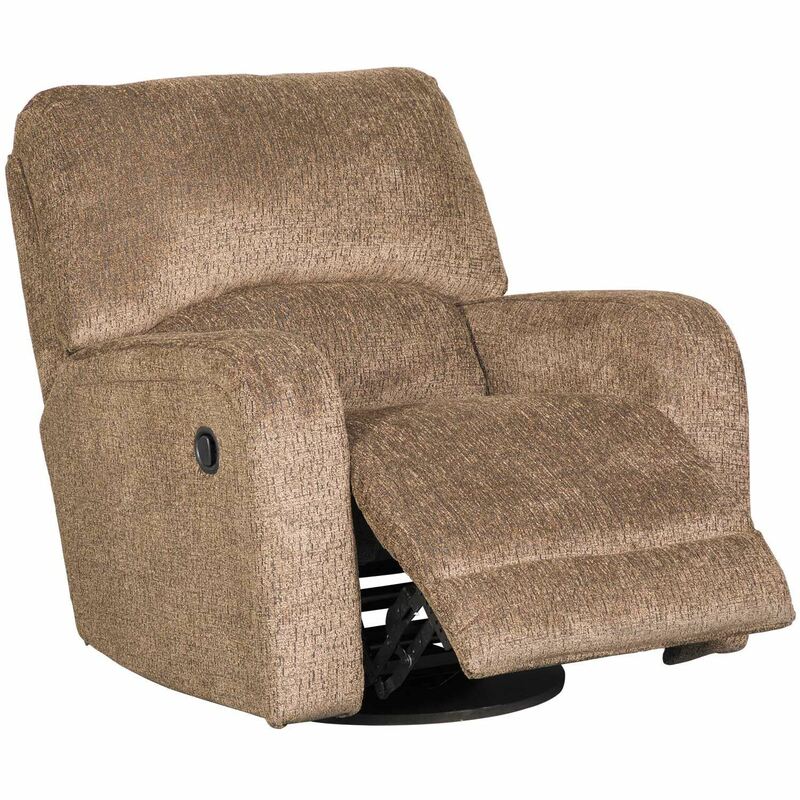 Ease back into relaxation on the deep seating with one easy pull. 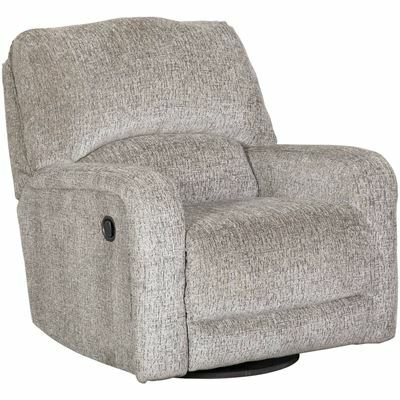 Complete with 360-degree swivel, this recliner sets the bar for comfort. You and plush cushions are two peas in a pod. 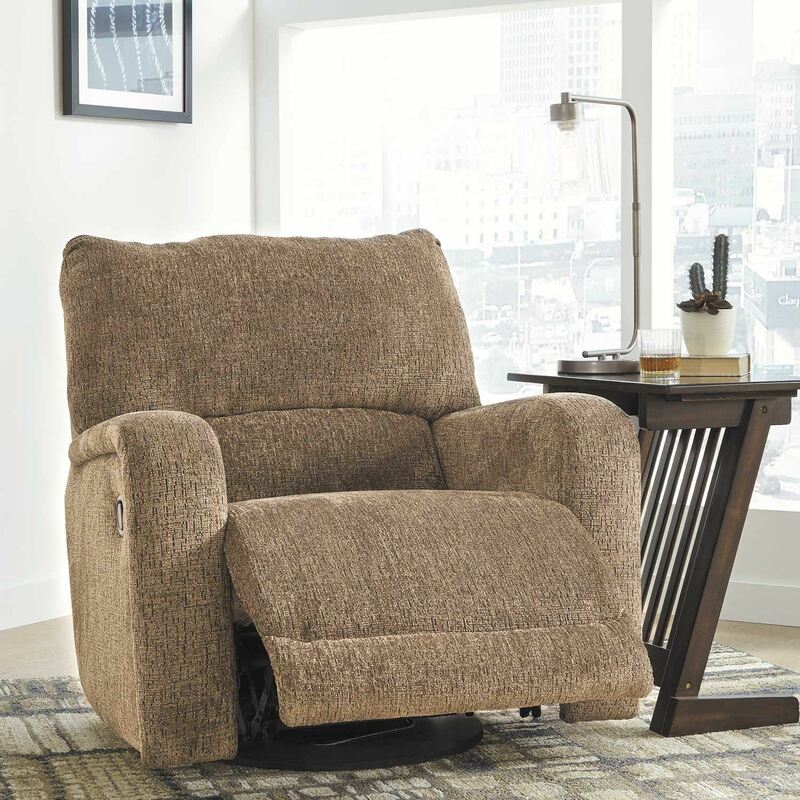 That’s why the Wittlich Umber Swivel Glider Recliner by Ashley Furniture will quickly find its way to your heart. Wittlich Umber Swivel Glider Recliner from Ashley Furniture. Frames are constructed of hardwoods, plywoods and engineered woods (OSB) with a metal drop-in unitized seat box. Covered in a umber 100% polyester cover. Includes swivel and gliding mechanism. Spot clean with dry cleaning solvent, cc S.